Home » FAQs » How Much Space Will an Air Purifier Cover? The space an air purifier covers varies depending on the type of air purifier you need. There are portable air purifiers and whole-home air purifiers. 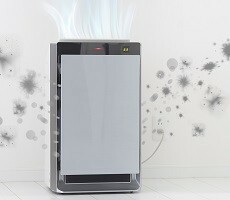 Each type of air purifier addresses different needs and square footage amounts. The best way to calculate if an air purifier model will be adequate for your space is to measure the square footage of your home or the room where the purifier will be. If it’s just one room, measure two perpendicular walls in the room. For multiple rooms, take the square footage for each room and total them together for the combined square footage. An entire house requires all rooms to be accounted for and if you don’t have paperwork with the total square footage of your home, you can measure the length and width of your outside walls and multiple that number by the number of levels in your home. After you have the square footage measured of the space you want to use for the air purifier, look for a purifier that specifies the square footage it covers. You want to buy an air purifier that indicates a rating matching the square footage you need or higher. If you purchase one that falls short of your square footage, it will be a waste of money, and it won’t purify the amount of air you need. Portable air purifiers are limited in the amount of square footage they can cover. If you only require one room to be purified, a portable air purifier would be a good option. They are relatively inexpensive and can be moved from room to room. They don’t effectively remove large particles, such as pollen, dust, animal dander, and some mold spores. Even though they are portable, some may be larger and harder to move to a different room. 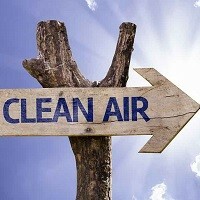 They require frequent cleaning to provide the most efficient and clean air possible. A whole-home air purifier is installed on your heating and cooling system’s return ductwork. It allows for more extensive purification of your air and treats your entire home. Since every room’s air is purified, you don’t have to move the equipment all over your house. A whole-home purifier is out of sight and operates with minimal noise alongside your HVAC system. It does cost more than a portable air purifier, but the benefits of cleaner air throughout every square foot of your house make up for the higher price. A whole-home air purifier requires less maintenance and cleaning, which can be addressed with regularly scheduled maintenance on your heating and cooling system.